E-commerce sites come in lots of different flavors with many bells and whistles. There are so many features you can add to your site, especially if you follow the practices of some of the more cutting-edge vendors. But don’t forget the basics. Here are eight features you MUST include on your website. 4. Someone may want to communicate with you when they don’t have access to the internet. Not having a phone number simply screams “amateur”. You don’t have to invest in a toll-free number, though it’s a good choice if your budget allows. But make sure people can call you and talk to a real person, at least during normal business hours. If someone is kind enough to give you their business, do a nice turn and give them their shipping details! Start off in the cart itself, or at least in the receipt email, by telling your customer when the order will likely ship. Once the order has been processed, send them a notification of the shipment, along with a tracking number and a link to the carrier’s website so they can track their package. The postal service, UPS, and FedEx all offer online tracking that you can pass along to your customers. Many LTL carriers offer this feature too. Some shoppers are quality-focused, while some focus on getting the lowest price for the product itself. But almost every business has a group of potential customers who demand free shipping. Unless you’re shipping large, bulky items like furniture, sit down with your statistics and figure out the sweet spot – the lowest order value for which you can offer free shipping and still make a profit. $30? $50? $100? Choose a value and then offer free domestic ground shipping for orders above that threshold. A tip: If you ship with multiple carriers, you can state that free shipping is YOUR choice of carrier, which may help keep your costs down. The hardest thing about shopping online is not being able to touch the item you’re considering for purchase. To make it easier, offer large, clear product images. If possible, provide multiple images of the item from different angles. Also, if you sell apparel, show the item on a model or mannequin, as well as hanging or laid flat. A 360-degree view or a video can provide even more detail. Try to make sure the images allow customers to understand what size the item is, too. Finally, offer a zoom feature so that customers can focus on smaller details while browsing. I don’t care how good your navigation and architecture are – site search is a must. Unless you sell less than 10 products, you need to provide customers with an ability to search for an item by the keywords of their choice. A good site search solution will handle misspellings, plurals, and synonyms. If you carry a lot of items, look for a solution that also offers faceting – the ability to narrow your choice by color, size, price, and other attributes. Product reviews are important for two reasons. First, they increase the credibility of your store and the products themselves, by giving unbiased opinions and details about the items. (They also prove that you have other real customers!) Second, they provide unique UGC (user-generated content) that gives you an extra boost when it comes to search engine rankings (particularly if the reviews include the product name or any valuable keywords). To promote reviews, send an email two or three weeks after someone makes a purchase on your website, and ask them to review the products they bought. No matter how NICE it is to have an account that pre-fills address information and offers other benefits, some shoppers simply cringe at a page that requires them to log in, or create an account, before placing an order. Give your customers the ability to checkout as a guest – without creating an account. This option reduces a lot of anxiety at the beginning of your checkout process. If possible, you can allow them to create an account at the END of the checkout process, once their order is complete – and while you still have their address information available to help pre-fill the sign-up form. Email has such a high response rate that it’s – no offense – stupid not to offer one. 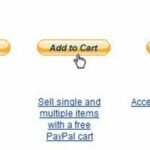 Allow customers to subscribe by giving them a “Please subscribe me” checkbox during checkout, and by offering a subscription form prominently somewhere on your site. You can get inexpensive email list hosting through a company like iContact, or go for lots of features and great deliverability with a higher-level service like Lyris or Bronto. Send emails at least six times a year, just to keep your name in front of past customers. There you have it – my recommendations for the main features your site must offer, regardless of the market you’re in. After you focus on these basics, and make sure they’re working well…then you can tackle the bells and whistles. 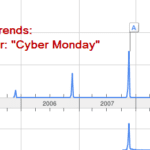 Cyber Monday 2009 – Boom or Bust?